The adolescent years are marked by a roller-coaster of emotions which may be difficult for teens. It is easy to misread depression as normal adolescent turmoil; however, depression (among the most common of mental illnesses) appears to be occurring at a much earlier age, and the past decade has seen teen suicide rates double. Depression—which is treatable—is a leading risk factor for suicide. In addition, self-injury has become a growing problem among youth. 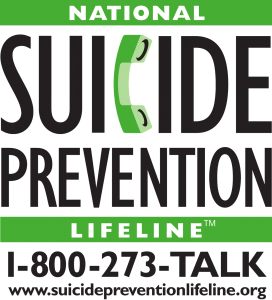 To proactively address these issues, Central High School is offering depression awareness and suicide prevention training as part of the Signs of Suicide Prevention Program (SOS). The program aims to increase help seeking by students concerned about themselves or a friend. SOS is listed on SAMHSA’s National Registry of Evidence-Based Programs and Practices and in a randomized control study, the SOS High School Program showed a reduction in self-reported suicide attempts by 40% (BMC Public Health, July 2007). The SOS program is available to us through Elyssa’s Mission, a nonprofit organization dedicated to suicide prevention. Elyssa’s Mission is the only organization in the state of Illinois to fund, distribute, and implement SOS. For more information on suicide prevention, visit their website at www.elyssasmission.org. Make sure and view their online Parent Presentation at http://elyssasmission.org/parent-suicide-prevention-training/ for specific information on warning signs and how to keep your child safe. The program will be presented to all Freshmen once a year during their Health, PE, or Band class. As part of the program, Elyssa’s Mission staff will show the SOS video and subsequently lead students in discussion. Students will then complete a brief depression screener as well as fill out a Response Card indicating whether or not they would like to speak to an adult at the school regarding concerns about themselves or a friend. The depression screening tool addresses thoughts and feelings which a parent may be unaware their child is having. This tool does not provide a diagnosis of depression, but rather alerts school staff to those students requiring further investigation. Our school counselor, social worker and/or psychologist as well as qualified staff from a community partner will be available to meet with designated students; school staff will subsequently notify parents/guardians regarding any needed next steps. In addition, if your son or daughter completes the questionnaire and there is a concern, please know that Student Services staff will be available to meet with students and then follow up with a phone call to you.